We are soon launching a new product XYZ on kickstarter, for a limited time we are giving away a RFID card to anyone who subscribes above! Get your free RFID card today! 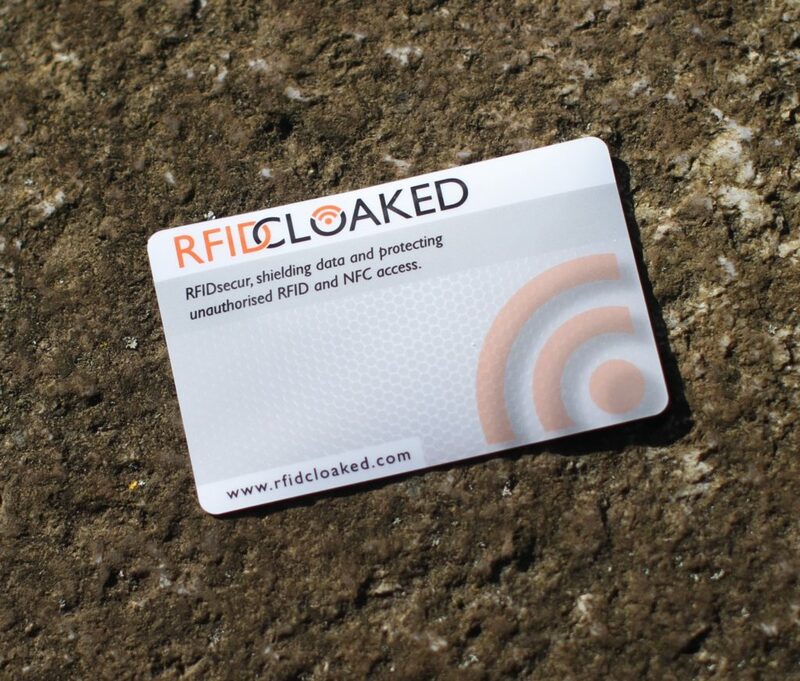 No other RFID blocking cards protect against both 13.56Mhz (bank industry standard) and 125Khz (security and key pass standard) frequencies. These ultra thin RFIDsecur™ cards are 1/3 the thickness of your bank card. Received today! Tested and passed thank you! Hi @RFIDCloaked found out this morning that your card works! Couldn't enter the bus because I put your card wrongfully in my wallet. Great! My cards arrived the other day and they’re brilliant past some on to my family. Many thanks. I was lucky enough to be one of your kickstart backers. Great product many thanks. Got my cards today and they look so amazing Thank you for your hard work guys, will buy more soon.